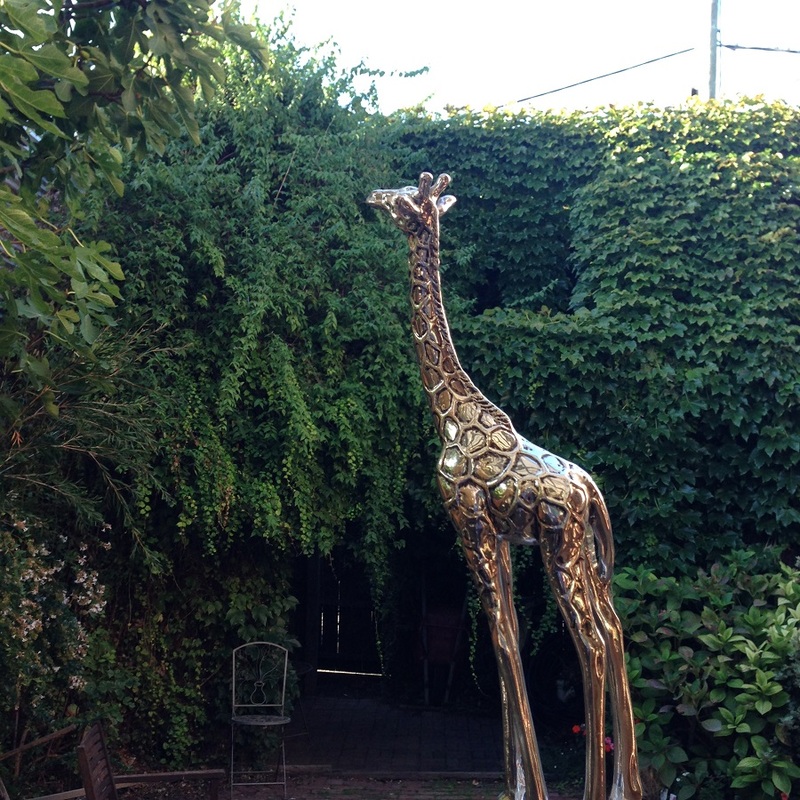 We call our pergola a giraffe house. The previous owners told us the story of a friend querying their objective during its construction, making a flippant remark that it was big enough for a giraffe … and voila … the giraffe house was born. 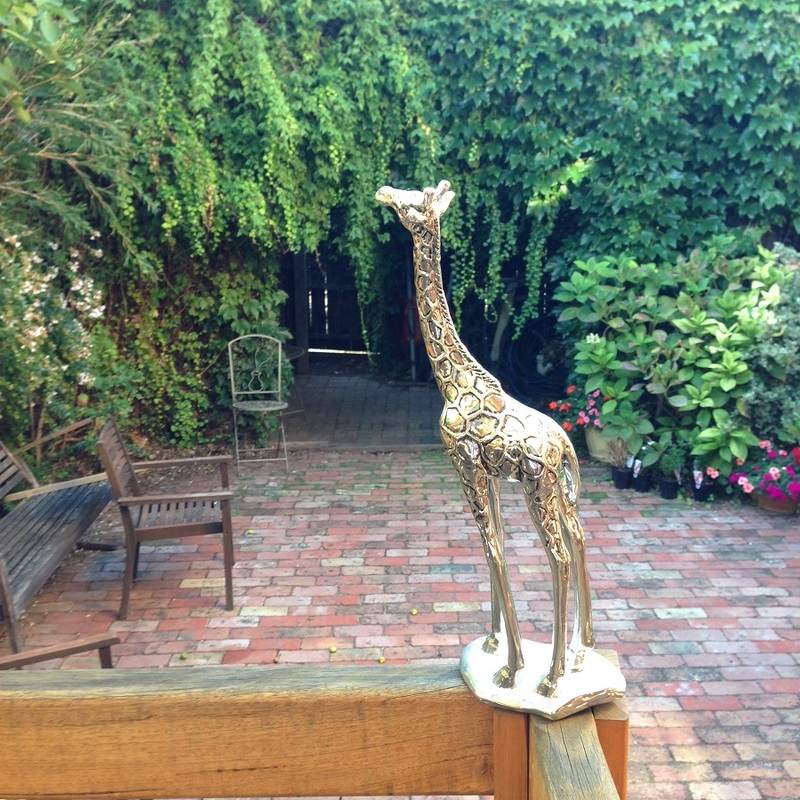 People keep bestowing giraffe gifts upon us as well – like this one. Fits in quite well I think!